Happy 40th Anniversary fellow Travellers! Although I wouldn't get hip to this life changing game for another seven years, it is my understanding that Marc Miller first published the original Traveller game on this date in 1977. My heartfelt thanks to Marc, the multitude of Traveller creators and publishers, bloggers, and the Traveller community at large for so many years of thought provoking entertainment. 2017 has been a very busy year for me, and unfortunately real life has kept me from posting as much to this blog as I would like. I am woefully behind on a collaborative ship design that I had hoped to complete early on in the year, and I still have several illustrations and some writing to do before the Starship Geomorph book is complete. I'm hoping to do another 30 day blog challenge, but that will probably have to wait for the latter part of the year. As busy as I've been, even an old grognard like me couldn't let this anniversary go without some kind of gift to the Traveller community. 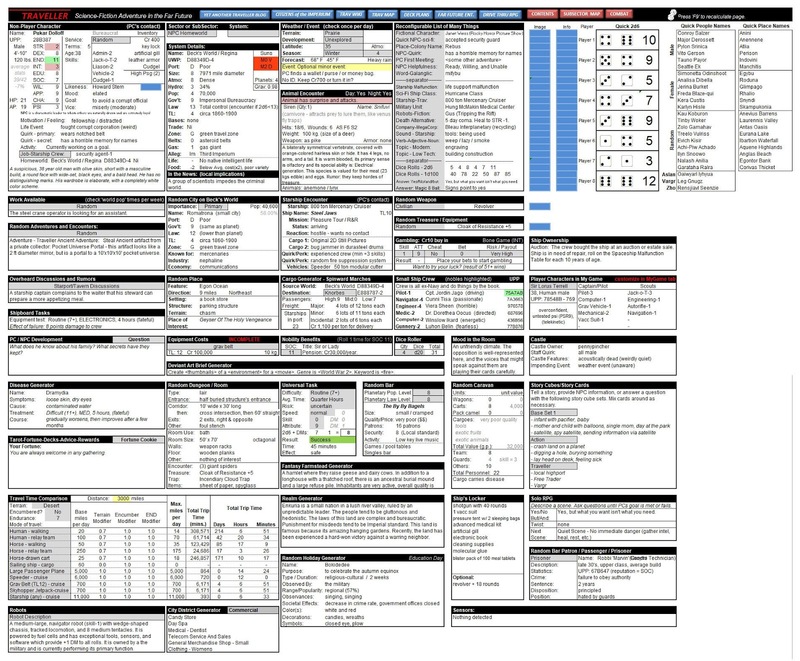 I've cleaned up my Traveller Referee Emulator and am posting it here for your use and abuse. Most of the information provided in the spreadsheet should be pretty self-explanatory, but feel free to post any questions you might have. I hope you get as much use out of it as I have. Enjoy! 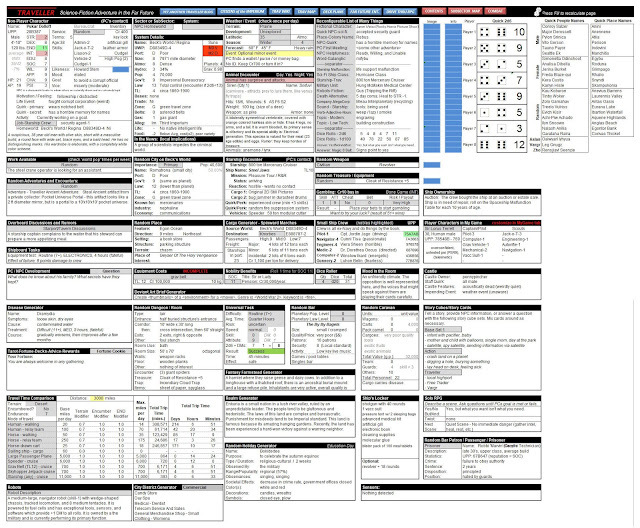 Click here to download the [Traveller Referee Emulator]. The ZIP file contains both the Excel spreadsheet and the Starburst Pips font file, which will need to be added to the appropriate Windows directory.